A Georgia lawmaker has filed a bill in the state Senate that aims to repeal a number of Prohibition-era regulations that brewers have said are overly burdensome and restrictive. 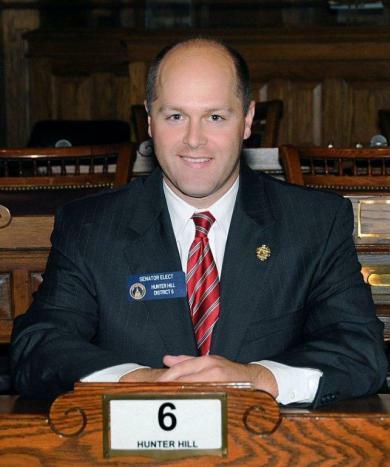 As filed by State Sen. Hunter Hill (R-Smyrna), SB 63 would lift the limits currently imposed on the retail privileges of brewpubs and production breweries alike. The Beer Jobs Bill, as its dubbed, would allow for breweries to sell up to 72 ounces of beer per person for on-premise consumption and up to 144 ounces of packaged product to go. Currently, breweries are expressly prohibited from selling direct to consumers for both on- and off-premise consumption, though they can give away free samples. Likewise, brewpubs would be granted the right to sell beer for off-premise consumption under the same quantity limitations, should the bill pass as written. In all, the bill has 18 co-sponsors. Nancy Palmer, executive director of the Georgia Craft Brewers Guild, praised the legislative effort and its goal of bringing brewery retail rights more in line with those enjoyed by other small businesses in and out of Georgia. The Guild further contends that the passage of the bill would boost the beer industry’s economic impact by 50 percent, or to more than $1 billion, but not everyone is in favor of changing the status quo. Martin Smith, a lobbyist with the Georgia Beer Wholesalers Association, which represents the state’s independent beer distributors, believes such legislation would compromise the integrity of the three-tier system that ensures brewers, distributors, and retailers operate separately. Smith said the organization also worries that such reform would lead to a slippery slope that ultimately resulted in brewers demanding more privileges, such as self-distribution and other franchise carve outs that would further threaten the three-tier system. He also pointed to the current growth of the industry as proof that the norm isn’t broken. Nonetheless, brewers are eager for change. The bill is scheduled for hearings in two committees before moving to the Senate floor for vote.